As the month-long government shutdown carries on, the impacts continue to grow. Government workers are going without pay, parks are being trashed, and vital social services are at risk. Most of the employees at the United States Environmental Protection Agency (EPA) are not working, meaning pollution is not being monitored and environmental laws are not being enforced. Despite essential aspects of the federal government’s work grinding to a halt, the Trump administration is finding ways to keep the government working for polluters, requiring staff to keep working on expanding offshore drilling, pushing forward a massive logging project, and issuing permits for oil drilling on public lands. At the same time, despite myriad harms caused by the longest shutdown in American history, the Senate is prioritizing giving polluters another hand-out by moving forward with confirming Andrew Wheeler as Administrator of EPA. This week, call your Senators and tell them that putting a forrmer coal industry lobbyist in charge of EPA is the last thing they should be prioritizing. 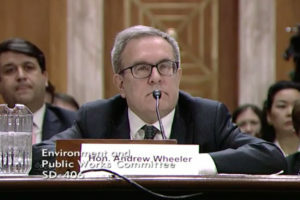 Wheeler spent nearly a decade lobbying for the interests of Murray Energy Corp, the largest coal mining company in the United States. During his six months as Acting Administrator of EPA following Scott Pruitt’s departure, he has demonstrated that while he may not be as prone to embarrassing blunders and ethical violations, he is just as dangerous for human health and the environment. He has continued to advance a de-regulatory agenda that benefits polluters—especially coal companies—while endangering public health and the environment. Furthermore, under his leadership, EPA will never take meaningful action on climate change. 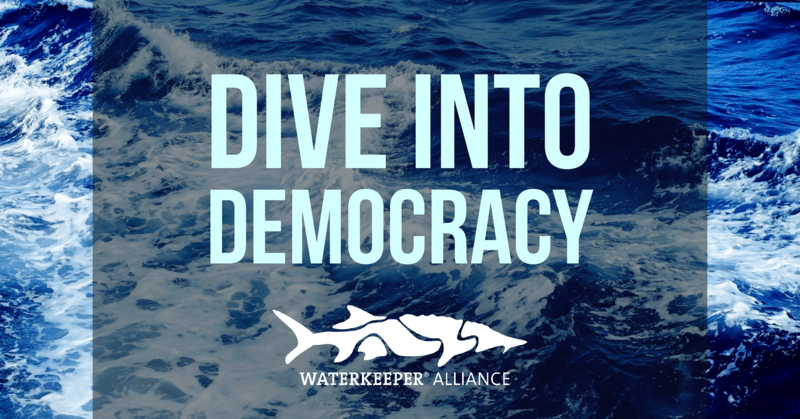 Most recently, Wheeler’s EPA revealed two big gifts for polluters that strike at the heart of the work of Waterkeeper Alliance. 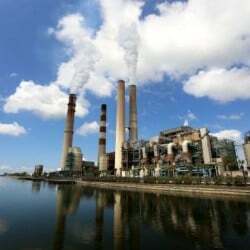 One is EPA taking the first steps towards weakening hazardous air pollution regulations on coal-fired power plants. This could reverse the important gains made in decreasing mercury air pollution from power plants—the biggest source of unsafe mercury levels in fish. 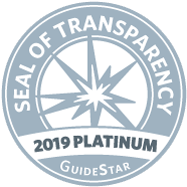 The second is an attempt to drastically limit the waterways protected by the Clean Water Act so that polluters no longer have to comply with the law’s requirements before discharging waste into these waterways. Under Wheeler’s leadership, EPA is actively moving us further from achieving drinkable, fishable, and swimmable waters—all to increase already enormous polluter profits at our expense. This week, please give your Senators a call with a simple message. Ask them to oppose the confirmation of Andrew Wheeler as Administrator of EPA. 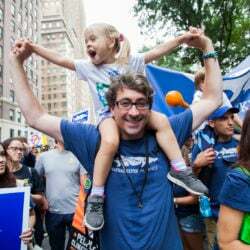 You can also suggest that they focus on more pressing matters, such as responsibly funding our government so that EPA employees who are trying to do good work despite Wheeler’s best efforts can get back to their jobs. 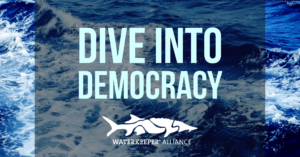 Dive Into Democracy is Waterkeeper Alliance’s roundup of current attacks on America’s clean water protections and how to take action. 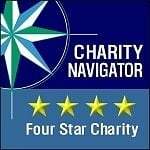 Want to get them in your email? Sign up here.